ANZAC stands for Australian and New Zealand Army Corps, and the soldiers in those forces became known as ANZACs. They took great pride in the name and this continues today. Anzac Day is on 25 April and marks the anniversary of the first major military action fought by Australian and New Zealand forces during the First World War. However, this is the day we remember all Australians and New Zealanders who served and died in all wars, conflicts, and peacekeeping operations. It is one of our most important national occasions and ceremonies are held in towns and cities across the nation to acknowledge the service of our veterans. 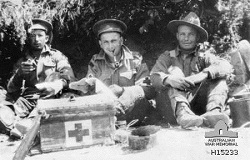 The spirit of ANZAC, with its human qualities of courage, mateship, and sacrifice, continues to have meaning and relevance for our sense of national identity. On the morning of 25 April 1915, the ANZACs set out to capture the Gallipoli peninsula in order to open the Dardanelles to the allied navies. The objective was to capture Constantinople (now Istanbul in Turkey), the capital of the Ottoman Empire, and an ally of Germany. 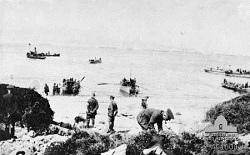 The Australian and New Zealand forces landed on Gallipoli on 25 April, meeting fierce resistance from the Ottoman Turkish defenders. What had been planned as a bold stroke to knock Turkey out of the war quickly became a stalemate, and the campaign dragged on for eight months. At the end of 1915, the allied forces were evacuated. Both sides suffered heavy casualties and endured great hardships. Over 8,000 Australian soldiers were killed. News of the landing on Gallipoli and the events that followed had a profound impact on Australians at home. The 25th of April soon became the day on which Australians remember the sacrifice of those who had died in the war. The ANZACs were courageous and although the Gallipoli campaign failed in its military objectives, the Australian and New Zealand actions during the campaign left us all a powerful legacy. Officially named Anzac Day in 1916, the 25th of April is still a really important part of our national pride and culture. All those years ago it was marked by many services in Australia, a march through London, and a sports day in the Australian camp in Egypt. In London over 2,000 Australian and New Zealand troops marched through the streets. During the 1920s ANZAC Day became established as a national day of commemoration for the 60,000 Australians who had died during the war. In 1927, for the first time every state observed some form of public holiday on ANZAC Day. By the mid-1930s, all the rituals we now associate with the day -- dawn vigils, marches, memorial services, reunions, two-up games -- were firmly established as part of ANZAC Day culture. Australians recognise the 25th April as an occasion of national remembrance. Firstly, commemorative services are held at dawn -- the time of the original landing -- across the nation. Later in the day, ex-servicemen and women meet to take part in marches through the major cities and in many smaller centres. 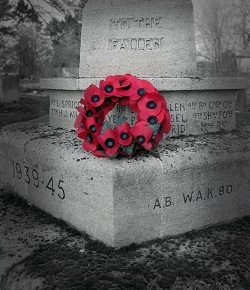 Commemorative ceremonies are more formal and are held at war memorials around the country. In these ways, ANZAC Day is a time when Australians reflect on the many different meanings of war. At the Australian War Memorial, the ceremony takes place at 10.15 am in the presence of people such as the prime minister and the governor general. Each year the ceremony follows a pattern that is familiar to generations of Australians. A typical ANZAC Day ceremony may include the following features: an introduction, hymn, prayer, an address, laying of wreaths, a recitation, the Last Post, a period of silence, either the Rouse or the Reveille, and the national anthem. After the Memorial's ceremony, families often place red poppies beside the names of relatives on the Memorial's Roll of Honour, as they also do after Remembrance Day services.